Income Tax: There is only one week left for income tax return (ITR) linked investments! This is the last chance for the salaried employees to save taxes under Section 80C, Section 80D etc, and bring their income below the exemption limit. Notably, not filing the return would also mean that a late fee would be levied on the taxpayer. Source - PTI. Income Tax: There is only one week left for income tax return (ITR) linked investments! This is the last chance for the salaried employees to save taxes under Section 80C, Section 80D etc, and bring their income below the exemption limit. Notably, not filing the return would also mean that a late fee would be levied on the taxpayer. Saraswathi Kasturirangan, partner, Deloitte India explains that those who delayed their investments would not be able to declare them with their employer. "If there is a delay in making the investments, it would not be possible for the tax payer to declare the same to their employer. 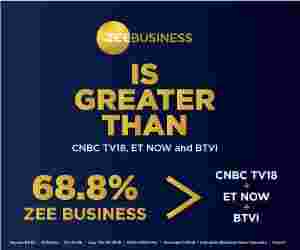 Hence the benefit cannot be availed at the point of tax withholding," she told Zee Business Online. Kasturirangan added that the benefit can still be claimed in tax return, resulting in a refund. "The tax payer needs to retain the related documentation, in case the same is called for by the tax authorities," she added. But, the job wouldn't end here. The new financial year would take India in a new direction with a number of new changes coming into affect. 1. The then finance minister Piyush Goyal, in this year's interim budget announced that individuals with taxable income of up to Rs 5 lakh will get rebate. "Resident individuals with taxable income up to Rs 500,000 are now eligible to a rebate of up to INR 12,500, resulting in NIL taxes for this category," Kasturirangan explained. The change will come into effect with the new financial year. 2. In the same budget, standard deduction was increases to Rs 50,000. "Standard deduction for the salaried class is enhanced to INR 50,000 from the current levels of INR 40,000," she said. 3. "The threshold for tax withholding on interest (other than interest on securities) is enhanced to INR 40,000 from the current levels of INR 10,000," she said. Similarly, the current threshold for tax withholding on rent is increased from INR 180,000 to INR 2,40,000. 4. "Individuals can claim up to two properties as self occupied property, as against the requirement to consider the second property as deemed to be let out," she said. Apart from this, the taxman might also start using big data to keep a check on evasion in the country. As per a Bloomberg report, India now joins a select league of countries like Belgium, Canada and Australia that are already using big data for the same. The report said that India's plan is on the lines of Britain's 'Connect,' built at an estimated cost of 100 million pounds. The system has reportedly prevented loss of 4.1 billion pounds ($5.4 billion) in revenue.